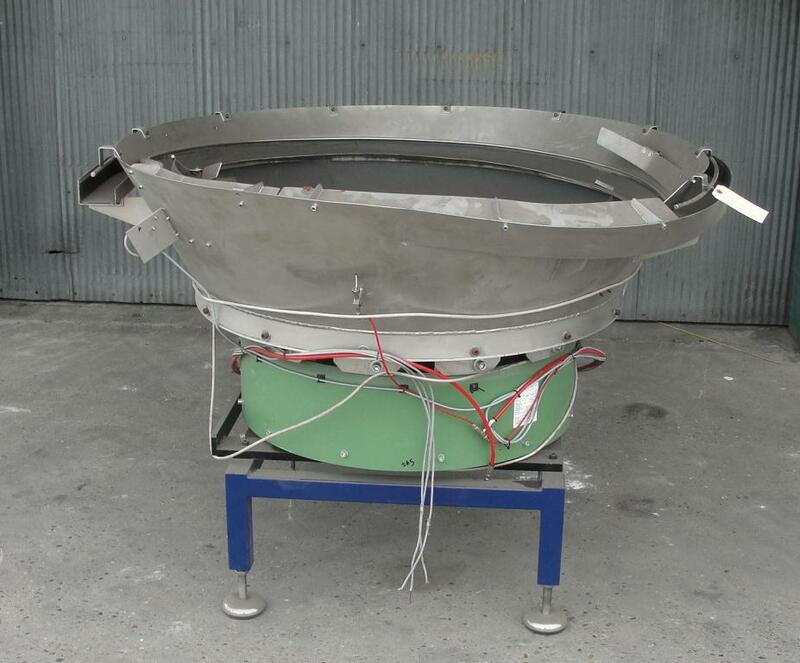 Rhein-Nadel Automation 56" diameter vibratory bowl feeder. Model SRC-N800-IL. Serial # 00245. Stainless bowl is 10" deep and designed to handle products that are 3" wide x 2" tall. 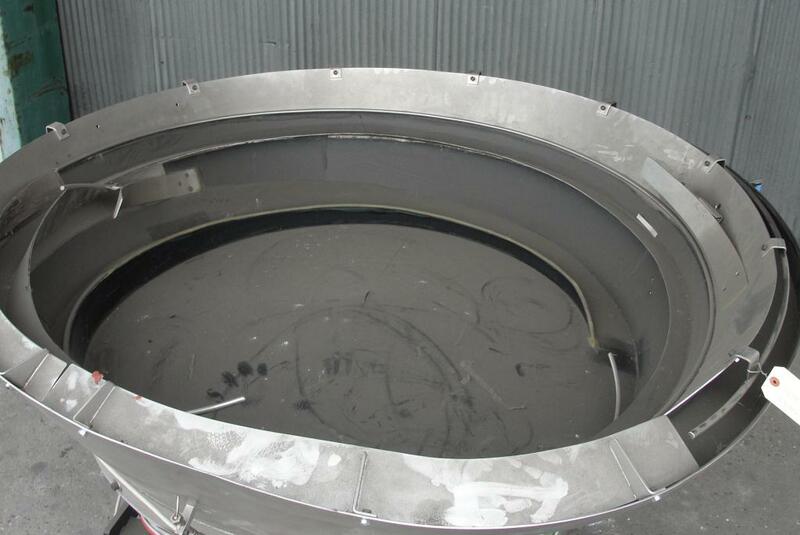 Bowl has a discharge height of 37". Designed to run on 220 volt 50 hz electrical supply. Good condition.